Fleet Lists wrote: The message on the Sydney Trains website has been changed from stating that it would close last night to that it will close soon. 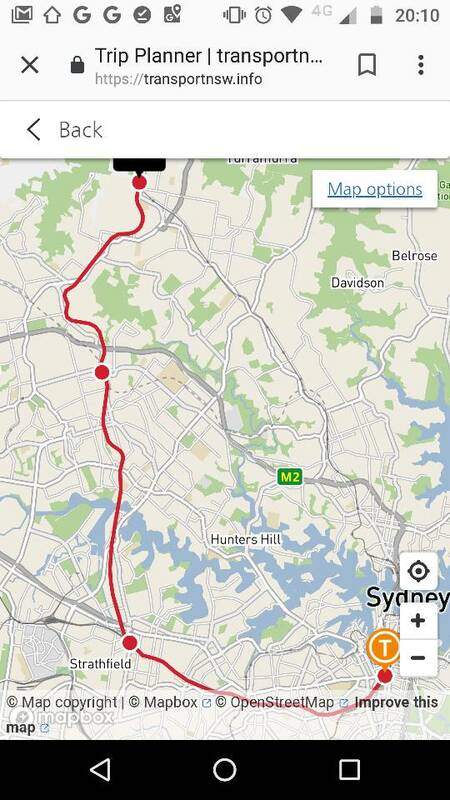 Does TfNSW not know where the 526 runs to and from? It seems also they have no idea that the quickest way from the T1 Northern Line to Olympic Park during weekdays is to change at Rhodes for 526/533. 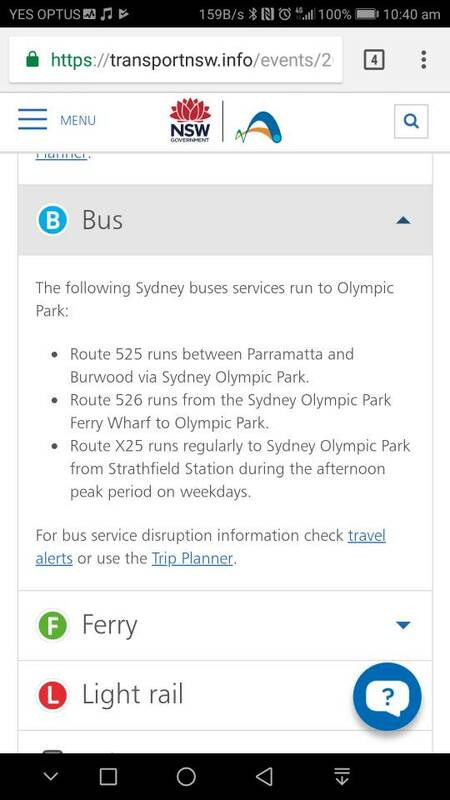 The 526 has also been running from RHODES and not just the Olympic Park Wharf to Olympic Park! 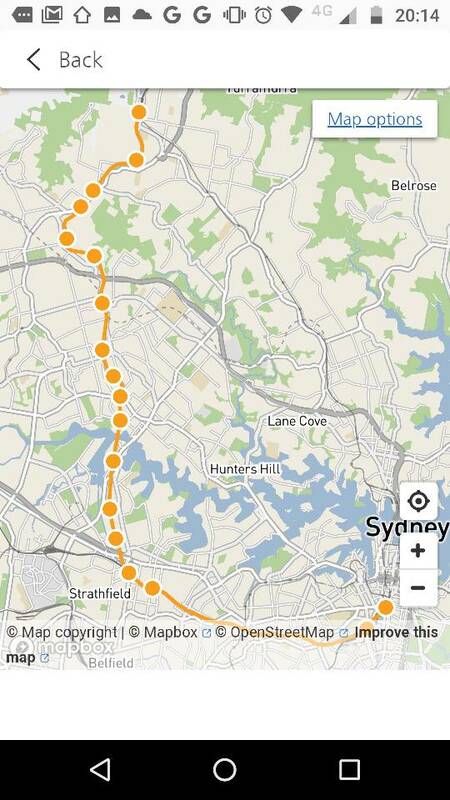 swtt wrote: Does TfNSW not know where the 526 runs to and from? I noticed that when I was looking up journeys to Olympic Park in the weekend. A whole bunch of people from Nowra were going to go to an event at Olympic Park but somebody chose Sunday without realising there was trackwork (there wasn't on Saturday, bad choice!). They called the trip off because the journey involved 3 trains and 2 buses, with a 10 minute wait between each train and half an hour (!!!) between buses at Kiama, a 4.5 hour journey in total. By the time they got there they would have had about an hour before needing to head back! I see this quite regularly - people spending 6 to 7 hours travelling to attend a 1 hour medical appointment in Sydney. The hard bench seats also add to the discomfort of those travelling with medical problems. Very third world. hmmm... old habits die hard. What do you now call a Campbelltown via Granville train? Usually Leppington trains are "T2 Leppington" services, and now we have "T2 South" again, after "T8 South" was created in 11/2017! In November last year pdf bus timetables for Hillsbus, Interline and State Transit had maps included in the pdf's. I noticed today that the timetables for Hunter Valley Buses routes (not including the ex Coastal Liner routes) have also had had such maps included. Must have happened in the last two weeks as one I archived on 30 August did not have a map. Fleet Lists wrote: I noticed today that the timetables for Hunter Valley Buses routes (not including the ex Coastal Liner routes) have also had had such maps included. Must have happened in the last two weeks as one I archived on 30 August did not have a map. No, the maps (although just simple maps) have been included for a while now. swtt wrote: hmmm... old habits die hard. What do you now call a Campbelltown via Granville train? The information on the website for today's special event services says that ECRL shuttle services between Hornsby and Chatswood will be extended to the City today. Those shuttle services were permanently extended every weekend since last year's timetable changes. It appears for both of these instances they've just copied last year's information and forgotten that the timetable has changed since then. Worse still they keep referring to the 526 as running between Burwood and Olympic Park Wharf... When it has been extended to Rhodes since 2016. 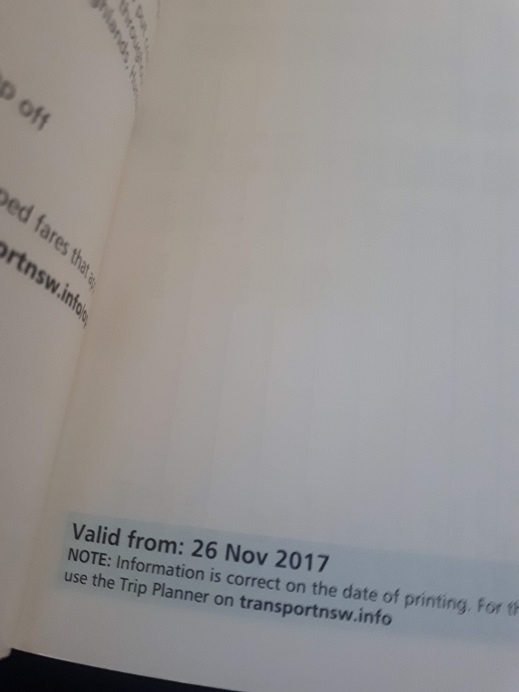 I stumbled across an amazing example of the triumph of bureaucracy over its customers when I went to look up the rail bus service between Moss Vale and Wollongong, that previously occupied a single page at the back of the south coast printed timetable. There are only three or four services each way per day, basically along the same route with small variations. 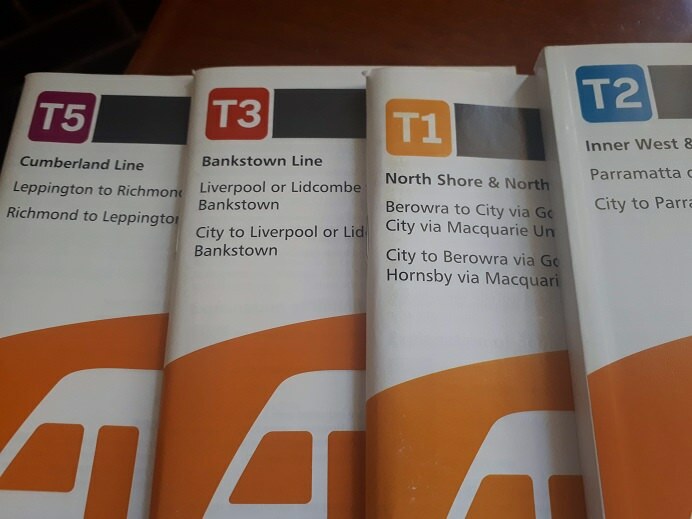 To my amazement I found that TfNSW has given each individual run - each way - its own route number (in the range 749 to 756) and therefore its own timetable - seven separate timetables altogether!!! So after spending about 20 minutes downloading them all and comparing them I found nothing had changed since the last paper timetable anyway, but now I have the equivalent of the Encyclopedia Britannica to consult rather than a single page for what is basically a piddling little service. However no doubt the mutiple route numbers assist some internal bureaucratic process that TfNSW has to fulfil. One thing I enjoy in WA is still being able to get paper timetables for all train and bus services. They must be using TfNSW's slogan of putting the customer at the forefront of everything they do, since its not being followed in NSW. Thanks I missed seeing that in the very confusing list of downloads. It's certainly not a user-friendly information source and I've had decades of experience in these matters. Does any service-provider in NSW still produce printed timetables with maps, other than private bus operators outside Sydney (bless them)? I'm all for using on-line information and apps (particularly journey planners) but they have their limits, particularly in the area of obtaining overviews of services. Once again, incorrect and inaccurate information about special event services on transportnsw.info. Central Coast & Newcastle Line: an additional service will leave Strathfield at 22:18, stopping at Eastwood, Epping, Hornsby, then all stations (except Wondabyne) to Newcastle Interchange. The train actually leaves Central at 22:18 (Strathfield at 22:31), and it does not stop at Eastwood. I sent feedback about this via the online form, but not holding my breath... I still haven't got a response back for any of my previous submissions asking for details to be corrected. tonyp wrote: Thanks I missed seeing that in the very confusing list of downloads. It's certainly not a user-friendly information source and I've had decades of experience in these matters. Does any service-provider in NSW still produce printed timetables with maps, other than private bus operators outside Sydney (bless them)? Printed copies of the new CCN train timetable were also being handed out by staff at Gosford station on Friday morning. Staff were verbally telling customers to please check the timetable for changes to train times and stopping patterns from next week, and apologised that they had no signage at the station with any details of the changes. The transportnsw.info website is also very vague on the changes, only advertising "there are more express services to Central via Strathfield". Most people interpret that as additional trains not realising it actually means the same number of trains but some stations will now be skipped more. There are no printed timetables available on the south coast from my enquiries. They must only hand them out in Sydney then. From early November, trip planning and timetable assistance via 131 500 will be removed. However, the minister's spokeswoman said anyone who needs assistance, for example someone with a disability, would still be able to speak with staff at the call centre. Very confusing article with the minister quoted in one place that the services will stay in place but contradicted by a spokesperson from Transport for NSW saying that these things will still change by the end of November. Is it a new feature that when you search a trip in Trip Planner and look at the map for the results the train lines are shown in the line colours rather than just the 'train orange'? Or have I just not noticed before? Glen wrote: Or have I just not noticed before? I was wondering that about myself (also on Sunday) - I think we both now have the answer. It seems yes What a good feature. Did I miss a post here? Have these Area Maps been previously reported? swtt wrote: Did I miss a post here? The Northern Beaches map is just the digital form of the large map adorning the walls of one of the bus stops at Manly Wharf. The Eastern Suburbs map doesn't show the 370 from Coogee, or the City services from Coogee and Clovelly. those maps seem to have replaced more detailed ones, which I can no longer find now. They were very large files, the previous ones, and probably hard to use on a mobile device. 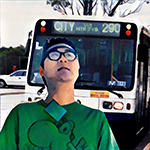 There seems to be no decent map at all of bus routes in the cbd area.